This umbrella, featuring a sturdy aluminum frame, a large UV-resistant cover and an extra portable base, is perfect for protecting you from sunlight. 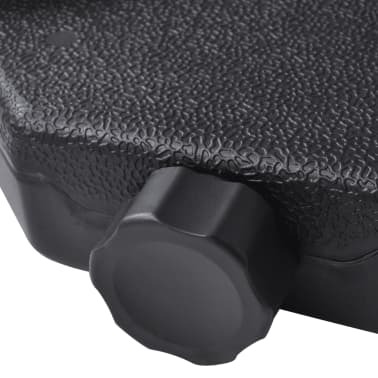 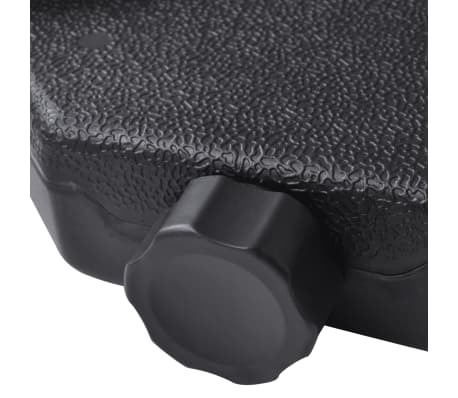 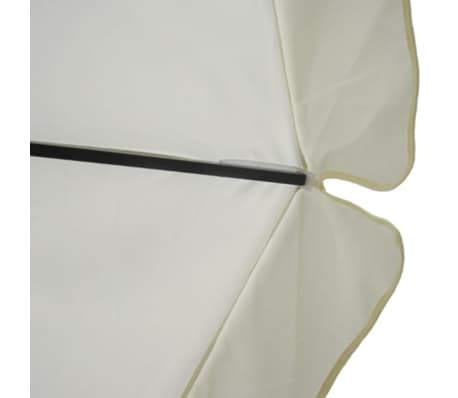 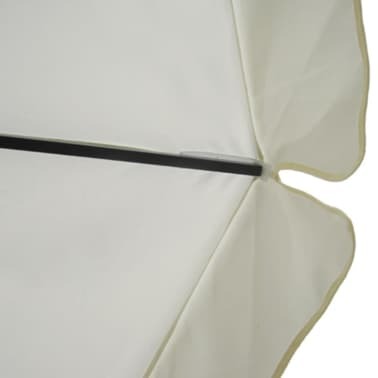 This high-quality parasol can be easily opened and closed by simply turning the knob on the pole. 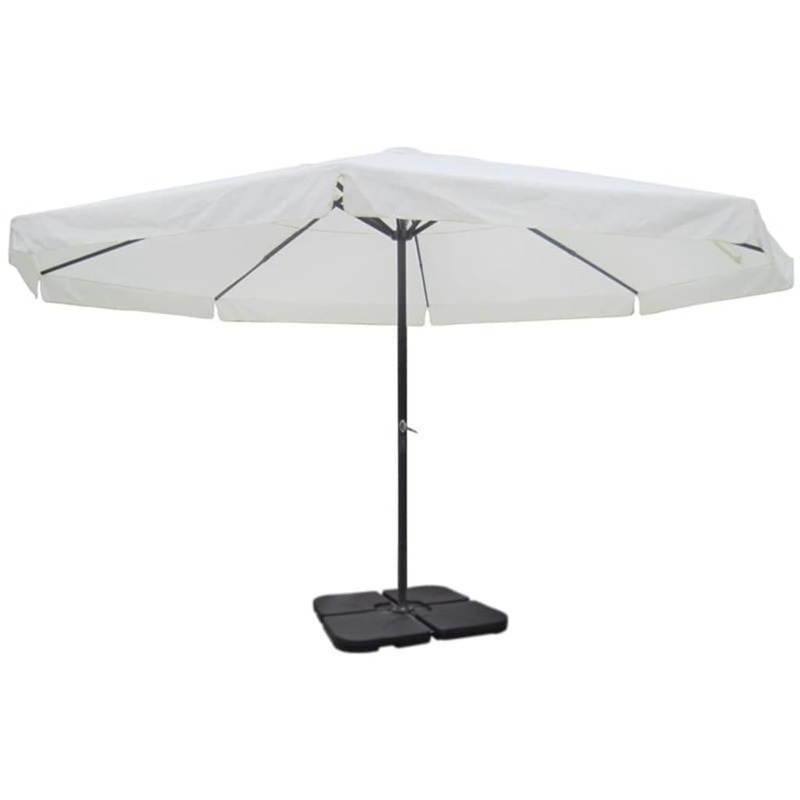 The aluminum pole, along with the 8 sturdy aluminum ribs, makes the parasol very durable. 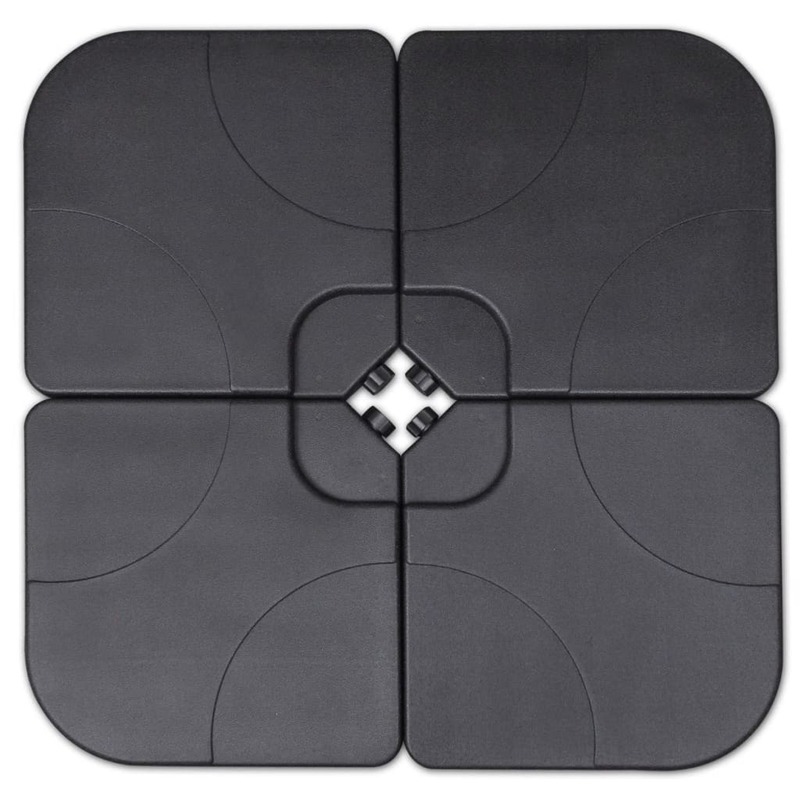 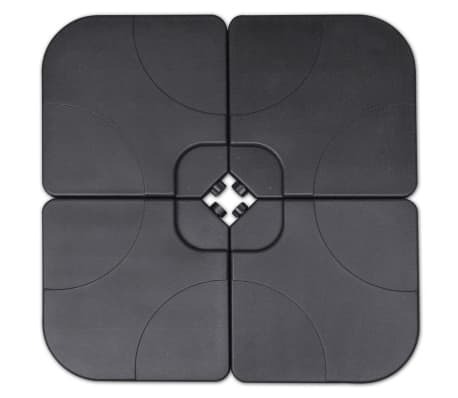 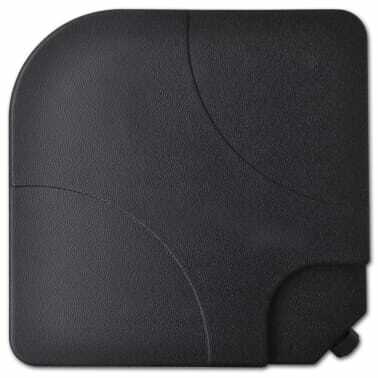 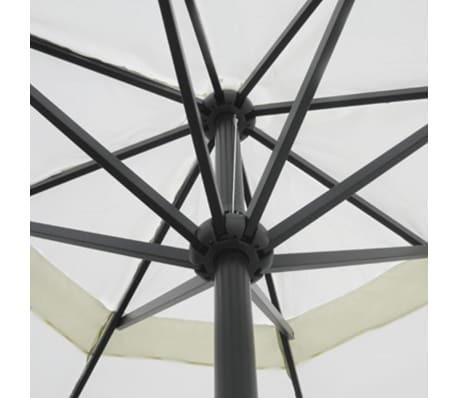 Moreover, the large, detachable steel cross base adds stability without taking up too much space. 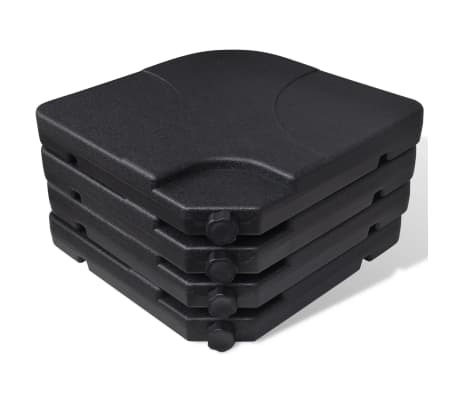 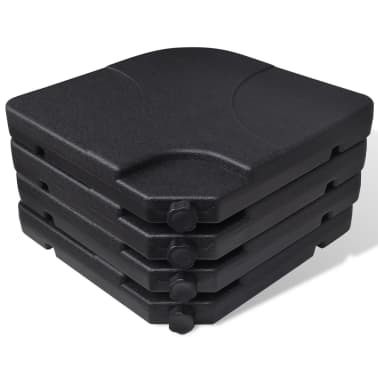 The extra parasol base consists of four separate parts and can be filled with 15 gal of water or 176.4 lb of sand. 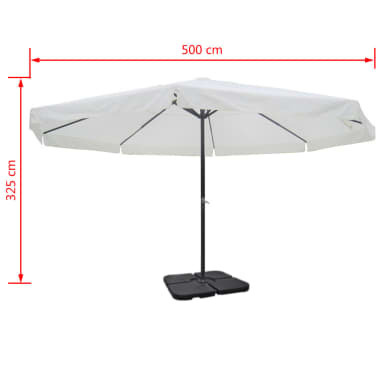 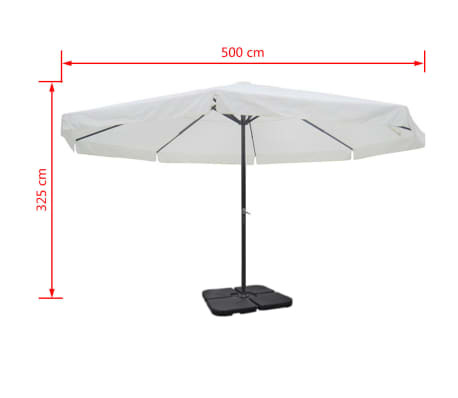 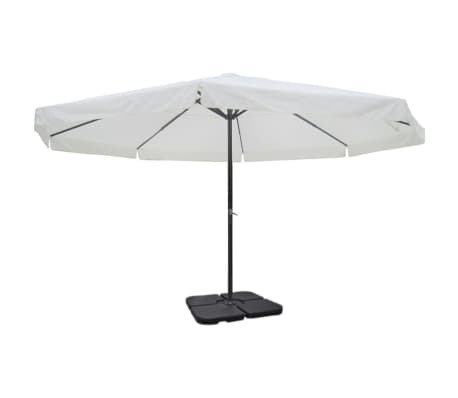 It is ideal for steadying parasols with a cross base. 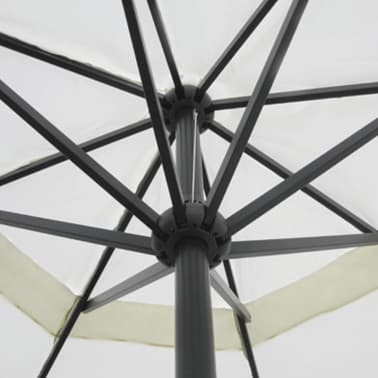 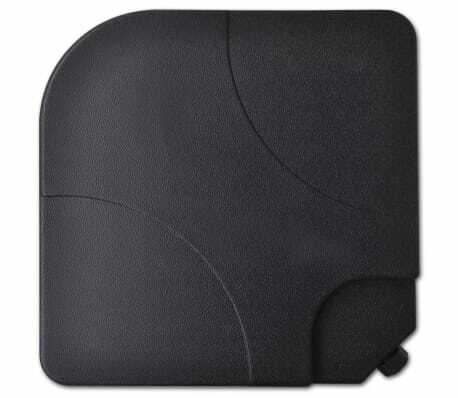 Pouring out the filler, the parasol base is light in weight, which makes it easy to carry.